inCharge Universal is the new line of inCharge, it comes in two versions, inCharge Dual and inCharge All in One. 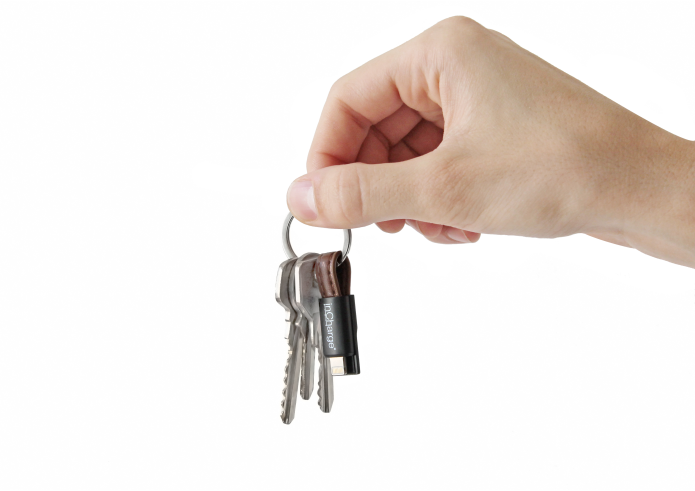 What is the difference between inCharge Dual and inCharge All in One? 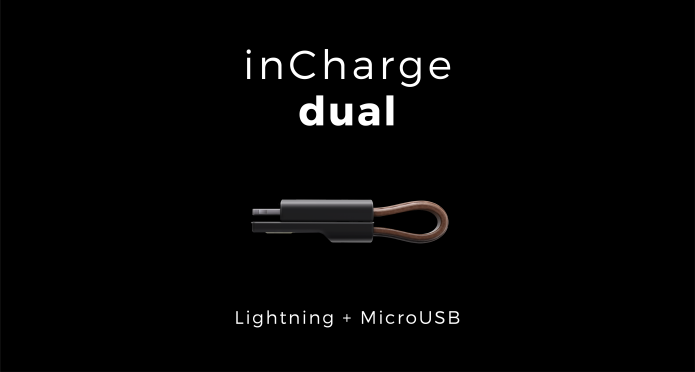 inCharge Dual is compatible with Lightning (Apple) and MicroUSB devices. 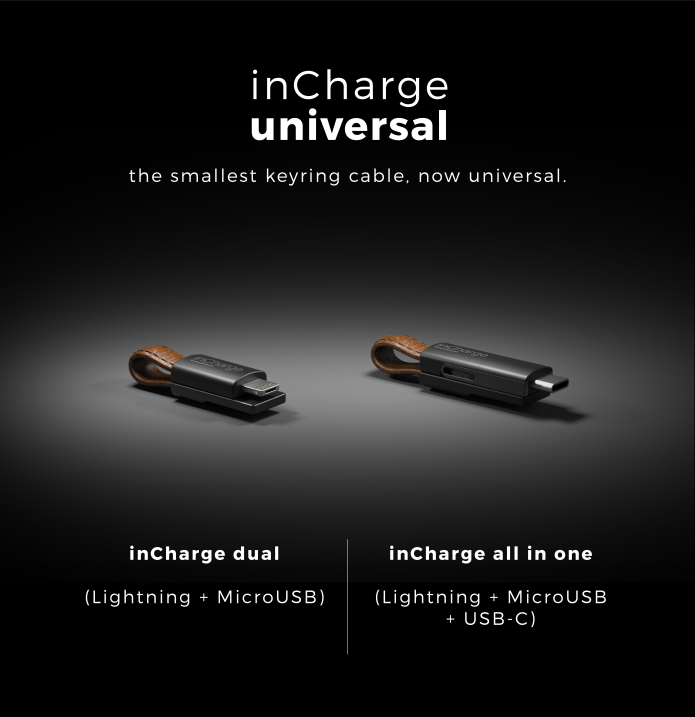 inCharge All in One is compatible with Lightning (Apple), MicroUSB and USB Type-C devices. 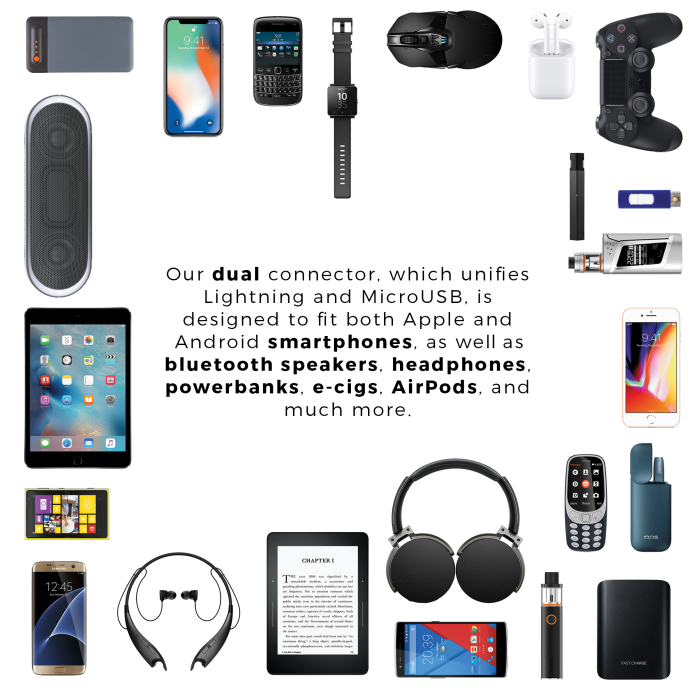 What connector does my device have? If it’s an Apple device, it will use Lightning. If it’s an Android or other OS, it will either use MicroUSB or Type-C. Most smartphones after 2017 use Type-C. If you are unsure, please check your phone’s instructions. Does inCharge Universal work for data tranfer? Yes, both inCharge Dual and inCharge All in One work for data sync. You will receive a full refund of your contribution. Support us either by backing our project on MesoTown or by sharing this project on social media.